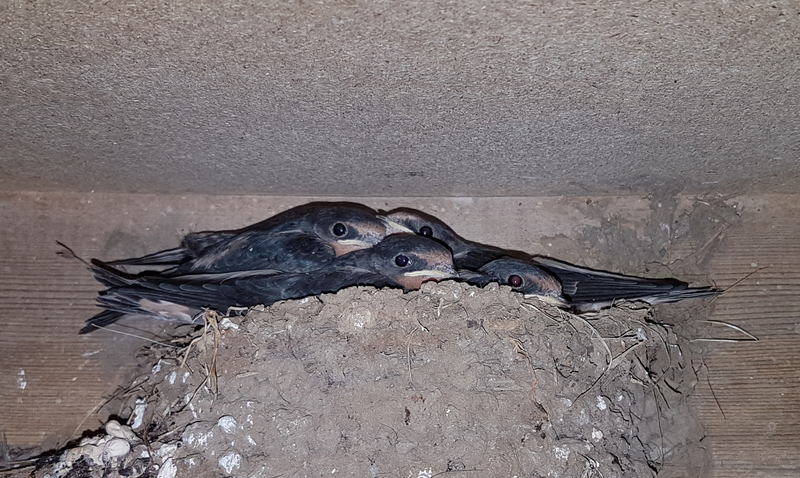 Summer really is upon us now and the first brood of swallows in our barn will soon be leaving the nest. (Not all our guests sleep 'four in a bed'!) We also have a pair of tawny owls nesting in the big old sycamore tree in the garden and had the pleasure of watching one of the pair fly from the hole in broad daylight. Our recent guests have been delighted with the wildlife that is to be seen at Skerry Hall and have enjoyed some of the superb walking country that is literally on our doorstep. We have vacancies on dates throughout the summer, but don't miss out - book early to ensure that you secure the holiday you want. Its amazing how quickly our booking calendar starts to fill up at this time of year. Not many of our guests submit TripAdvisor reviews, but follow the link on our homepage to see what people think of their stay at Skerry Hall. We're sure you won't be disappointed if you pay us a visit too, whether it be for just a couple of nights or a longer break. We are well-placed for both Robin Hood's Bay and Whitby - and of course all the glorious coast and countryside of the North York Moors.